If I had to choose one skin care brand to use forever then it would be REN. Don’t get me wrong, I do use other brands in my skin care routine but everything I have tried from REN so far I have loved and they are one of those brands that you can trust to offer a high quality, reliable product. 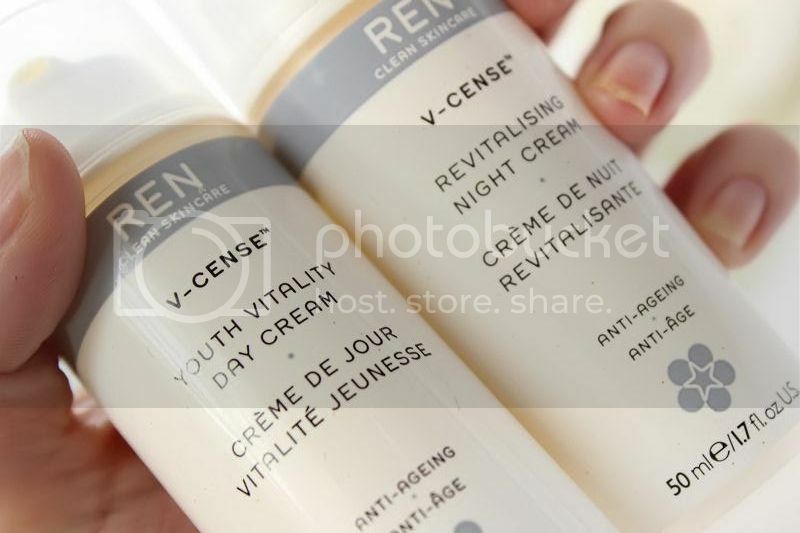 My favourite REN product is the Glycolactic Face Mask which does wonders for my skin and leaves it looking fresh and glowing after I use but but my more recent loves have been the *V-Cense day and night creams. I’ve been using the V-Cense range for the past month or so and I’ve definitely noticed a difference in my skin. The formula of both creams is thick and creamy with the night one being a little more so which is to be expected. The fragrance is a little unusual as it contains frankincense which I don’t think would appeal to everyone. Initially I wasn’t too keen but it has definitely grown on me since using it and now I actually quite like it. My boyfriend, however, isn’t a fan at all. 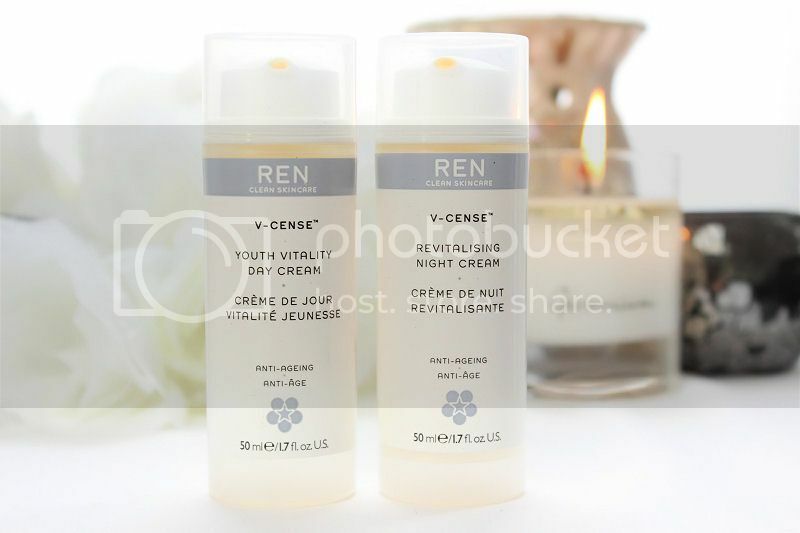 V-Cense contains anti aging properties which is a great bonus and is something I look for in skin care products now that I am in my mid twenties. 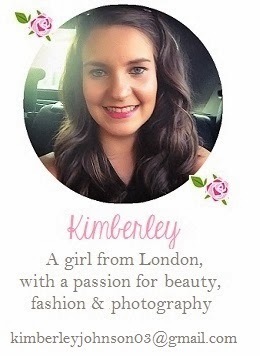 The formula glides well over the skin and absorbs quickly so it is fine to use before applying make-up. I also find a little goes a long way with this moisturiser so you need to be careful how much you apply otherwise you can end up being a little shiny. As for skin types, personally I think it would suit dry or combination skin best but I would recommend asking for a sample size if you are thinking of giving it a go. 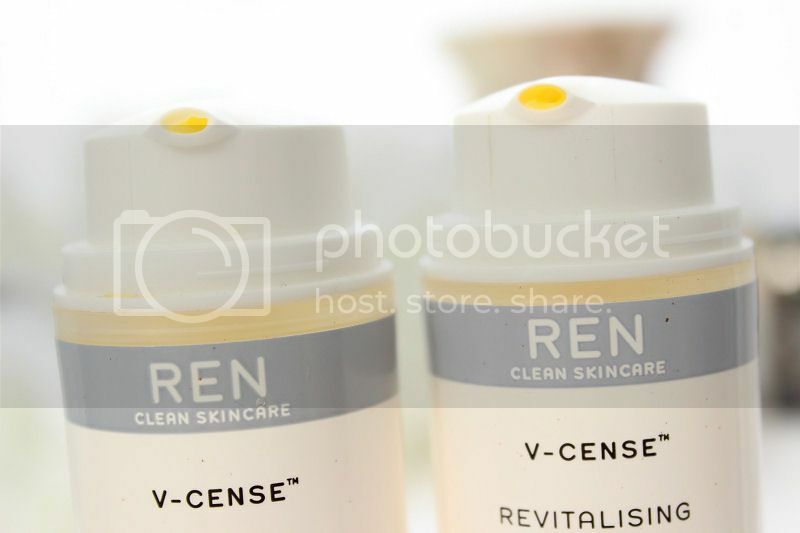 The REN V-Cense range are my current favourite moisturisers for day and night and I really enjoy using them. It leaves my skin is smooth, well hydrated and glowing which is perfect. I saw an improvement after using these products for just a couple of weeks and my make-up applies beautifully after I have used the day cream. It will be a sad day when they run out. I would definitely re-pirchase! If you want to give this range a try you can buy it from REN for £28.00 (Day Cream) £32.00 (Night Cream). What is your favourite moisturiser? Have you tried the V-Cense range? I love REN skincare products and this sounds like something that will really work for my skin too. Great review! I'll make sure to try this. Looks really nice. And I love how simple the packaging is. I use CeraVe and I've never tried V-Cense, but I'd like to. The glycolactic radiance renewal mask seems just what I need. Would like to try REN products.